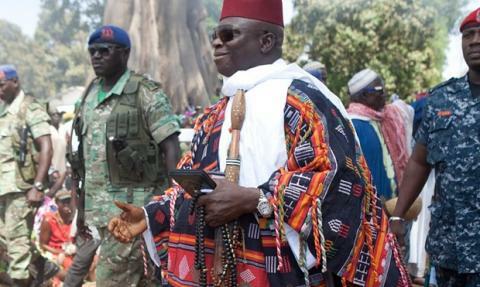 In a very rare meeting held outside of Jammeh's political base of the Fonis, the embattled dictator is meeting with Jola elders and traditional leaders at State House. Sources tell us that when Jammeh seized power illegally in 1994, he help form what can only be called a Jola Council that meets periodically at Jammeh's convenience. He meetings are held in secret and thus never attended by even his top aids. It is unclear as we go to press whether the meeting was summoned in anticipation of the decision of the ECOWAS Heads of State Summit held in Abuja today where it was decided unanimously that he either steps down voluntarily or a military intervention force to be led by Senegal will be sent into The Gambia to enforce the decision of the Summit which reflects the will of the international community. What is clear, however, is that Jammeh appears to finally come to recognize the firm resolve of ECOWAS and the international community to ensure that the will of the Gambian people expressed at the December 1st presidential elections is respected. In this regard, the Summit decided that all the Heads of State of the 16-Member regional body will attend the inauguration of President-elect Adama Barrow. Some members of the Jammeh family are known to have been urging him to "give Adama Barrow a chance" according a source close to the family, presumably in reference to honoring the outcome of the presidential elections. The same said source has also revealed that some members of the Jammeh family who support the 7-party Coalition have been particularly pressing Jammeh to step down because he lost the elections that were considered by Gambians and universally judged to be free, fair and credible. The outcome of the consultations with the Jola community is unknown but the decision of ECOWAS Abuja decision will be weighing heavily on the idiosyncratic and erratic leader of The Gambia, to add to the pressure on Jammeh to vacate State House by the 18th January if not sooner. In another related development, Gambia's outgoing First Lady, Zainab Summa Jammeh is meanwhile packing all her valuables from their Potomac $ 3.5 million mansion before boarding Jammeh's presidential jet - currently parked at Dulles International Airport outside Washington. She is expected to fly to Banjul tomorrow Sunday before proceeding to Conakry which will be her permanent home. 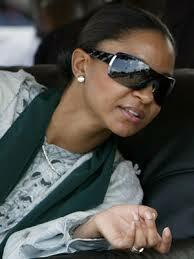 Apart from owning an extensive business empire in Morocco and Conakry, most of her family members call Guinea home. Her father was originally from Guinea and her mother was a Moroccan national.